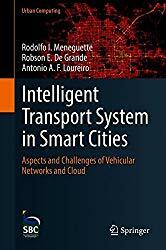 This book presents a timely description of currently used and proposed technologies that involve the intelligent transport system to assist the manager of large cities. Therefore, it describes all concepts and technologies that address the challenges, bringing up a top-down approach, which begins from the vehicular network and central infrastructure to a distributed structure.For scientists and researchers, this book will bring together the state-of-the-art of the main techniques that involve intelligent transport systems to assist the manager of big cities.For practitioners and professionals, this book will describe techniques which can be put into practice and use to aid the development of new applications and services. Concerning postgraduate students, this book will provide highlights of main concerns and concepts and explain techniques that can assist students to identify challenges that they can explore, contribute to, and advance the current status of technology.